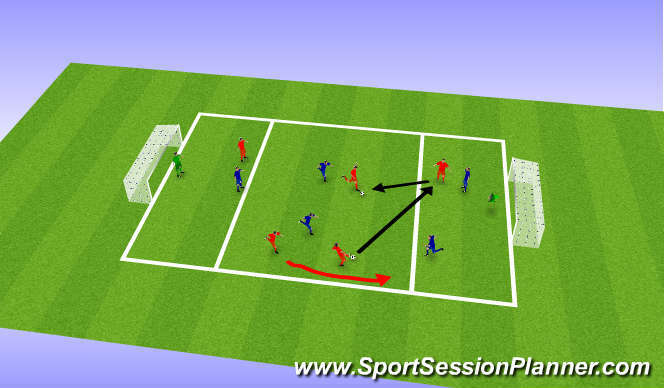 Players have to shout which colour cones (or no cone) are being held up by their 2 diaganol cone holders before they take their first touch. 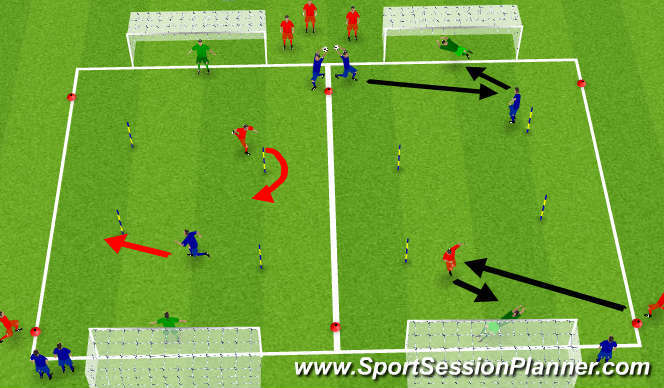 2 teams with 4 players from each team on pitch and 2 target players at either end of pitch. 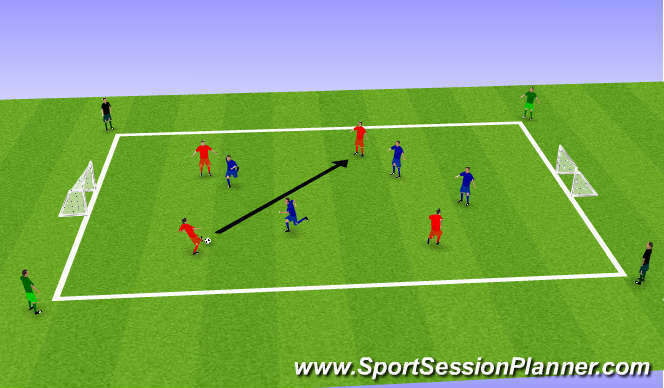 Make competition between both teams, who can score most goals. Question? 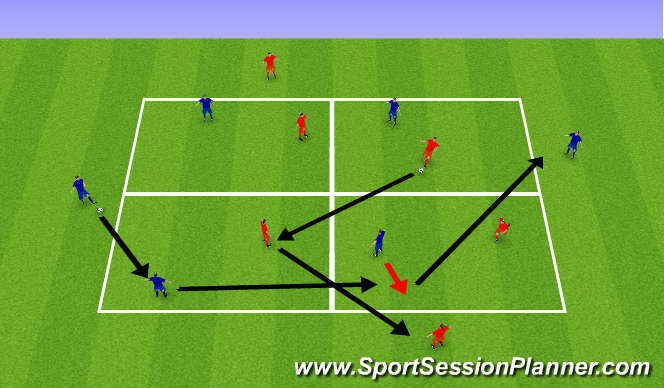 Ask players why they think it is important to be able to play with one touch in final third of pitch?